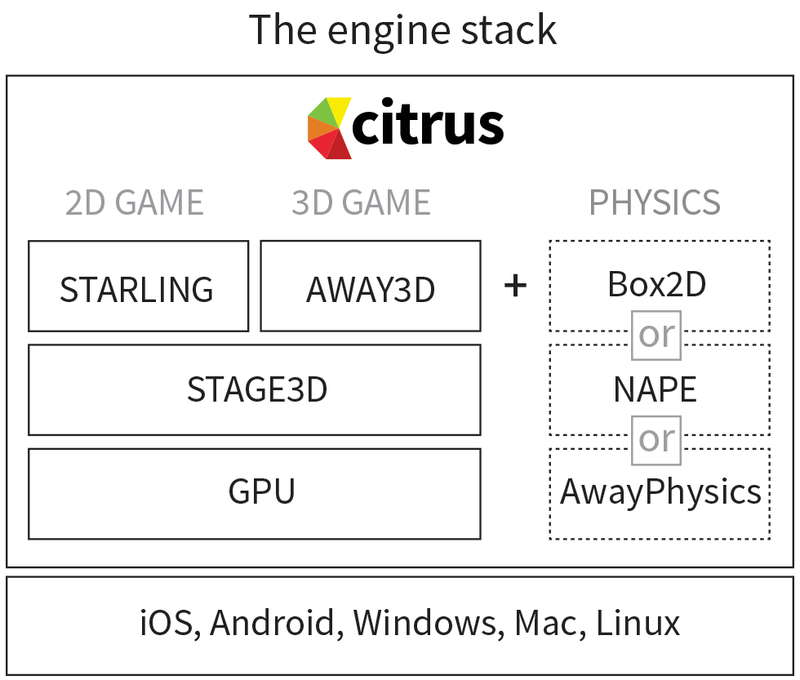 With a core library of about 100kb, the Citrus game engine is GPU accelerated via Stage3D technology and supports your choice of 2D or 3D using either the Starling Framework or Away3D. Get it and start using it right away for free! 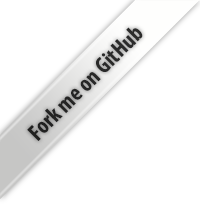 The Citrus engine is an open-source ActionScript 3 based community project that you can extend or alter in any way to fit your needs. Box2D, NAPE and AwayPhysics are available out of the box. With Citrus you have access to three supported physics engines enabling you to create 2D or 3D experiences. You can even build a 3D game that uses 2D physics, like a side-scroller platformer.